A threat of thunder in the air, with its humid feel and overcast mood. Will it sound or will it simply just tease? A splash of rain releases some tension. 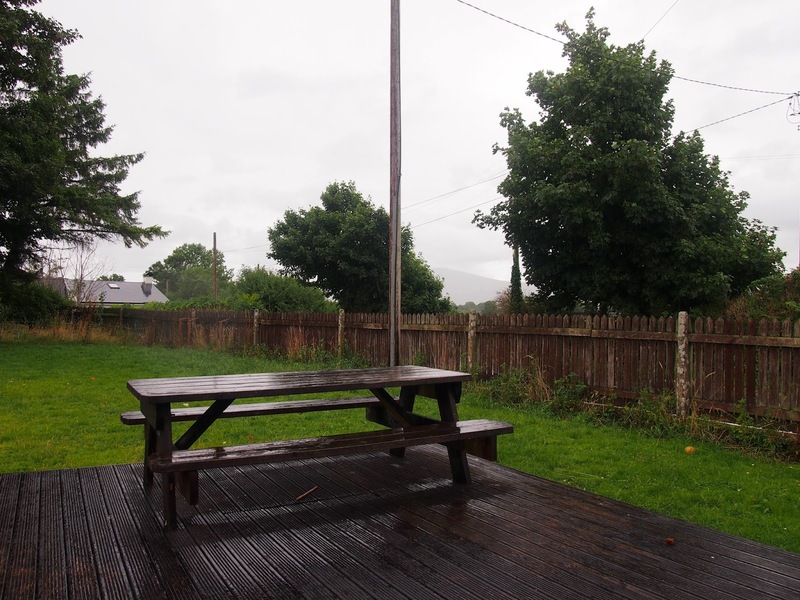 Our healing mountain view hidden by weather. Puddles on the deck, boots on small feet. Simplicity, splashing in shallow puddles. Luxury of returning to bed before noon next to a sleeping cub. Awoken, vivid dreams, voices and people, mixed up, fragmented. Five minutes sleep to feel like 5 hours, all it takes to renew. A trip to a pitch, those same mountains in view. To be a spectator. 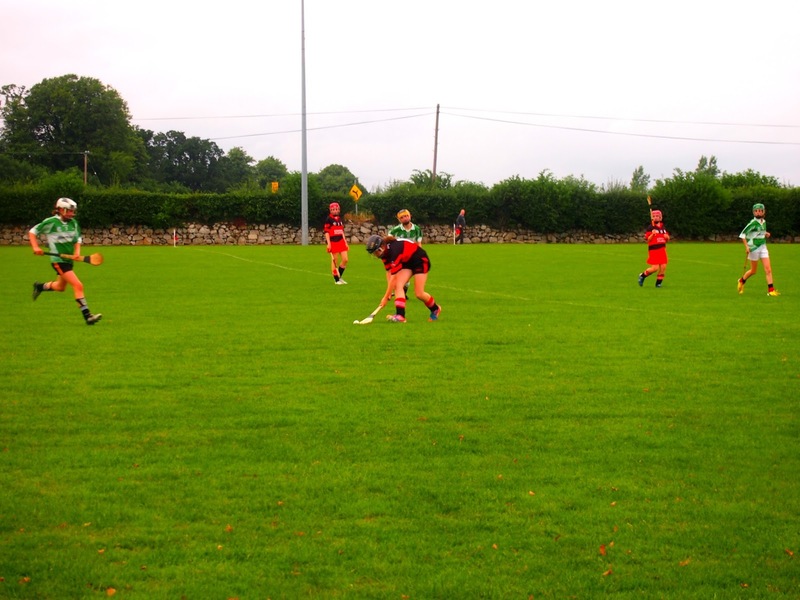 An ancient and skilful game hurled down by 2000 year old celtic tribes to today’s girls and boys. 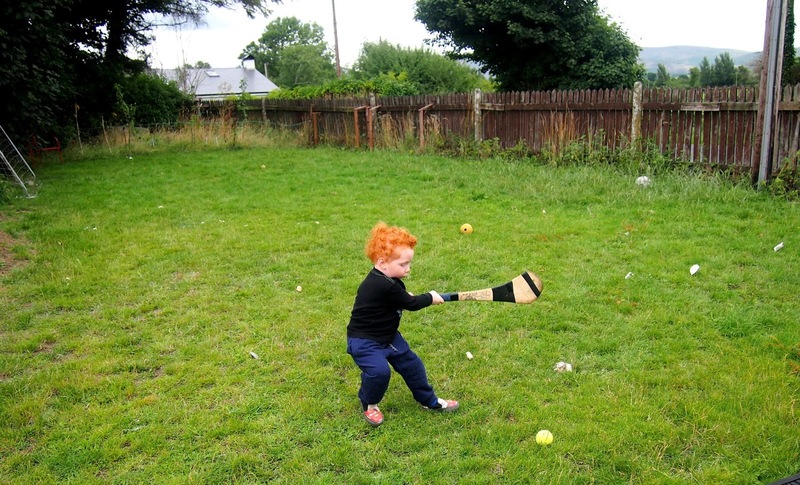 Images of Ireland’s agile young warrior boys in training, wooden sticks hurling small leather balls. A passion never lost through the centuries of time. 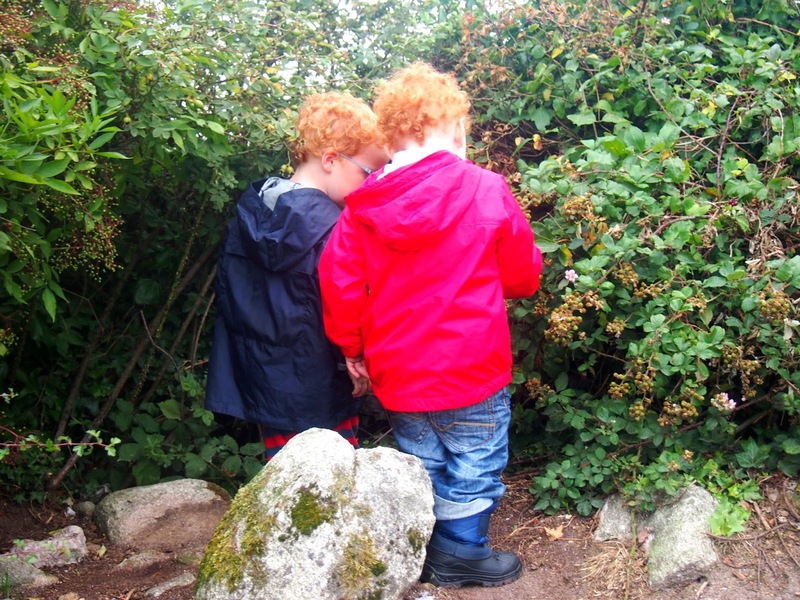 Small red heads examine unripe blackberries, temptation hard to resist. Threat of sore tummies ignored. Hiding in ditches, muck in hair. Hurlers on their very own ditch cheering on their ranger warrior. A gathering of the ladybird’s marks a beautiful and lucky summer to remember. A life lesson for a boy with a jar. Take care of our small creatures, let them fly home to their house on fire.